Crowns, inlays and onlays are dental treatment that restore the tooth strength. These restorations were traditionally created in an external lab and this meant a second visit to the dentist to complete the installation. Since 1997, we have been using the CEREC German technology. This allows us to mill your restoration on site and complete the installation in a single visit. With CEREC, you save time, a temporary restoration and a second injection of anesthetic. The crown is the part of the tooth that rises above the gums. It is also a type of dental restoration that caps or encircles a natural tooth or implant. Crowns improve aesthetic appeal, but they also help to reinforce the tooth. 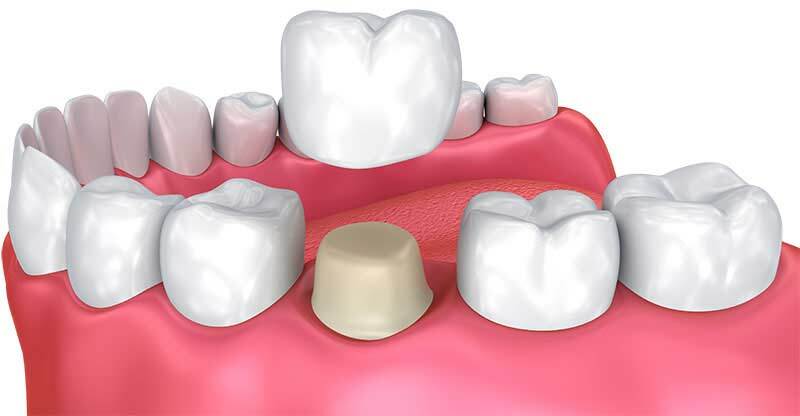 If the dental cavity is small, and if after having cleaned the cavity, the structure of the tooth can still withstand it, the dentist simply fills the cavity using an amalgam, resin or composite filling. However, should the tooth now be too thin, the dental structure too fragile or too weak, a crown will have to be placed. 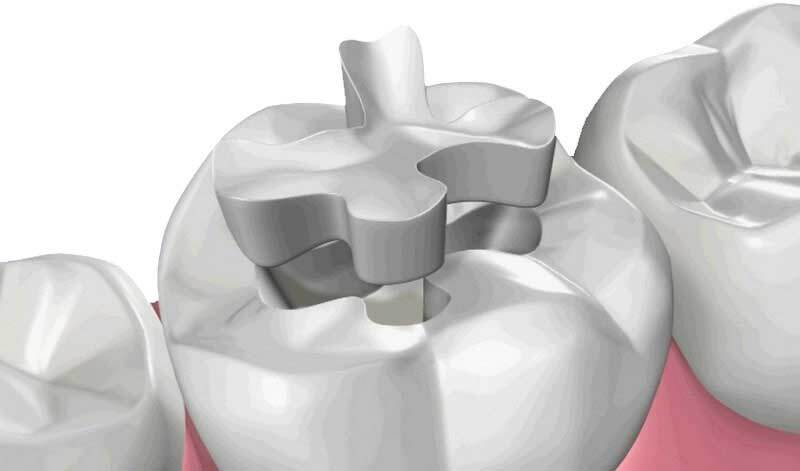 How is a CEREC crown made in 1 visit? You leave the clinic with a happy smile and your treatment plan is completed. No need for a second visit to finish the work. To learn more about CEREC and to see an impressive video on the sculpting of a crown, we invite you to see our page on CEREC technology. Inlays and onlays are treatments on the molars or premolars that replace amalgam (fillings) and composites. They are cut from a ceramic block and inserted in the tooth where the fillings would have been. The tooth is often less sensitive to hot and cold. After removing the fillings, the remaining walls are sometimes very thin. It is then counter-indicated to use an amalgam or a composite as the tooth becomes too fragile. An inlay or onlay restoration is preferable in this case and may help avoid a root canal or the placement of a crown. Rather than sending your inlay or onlay to be cut in the laboratory and having to return to the clinic in one or two weeks, we can mill the inlay or onlay on site with our CEREC technology. Talk to your dentist to help you choose the most appropriate treatment for your situation.